King size Louis XV style bedstead. 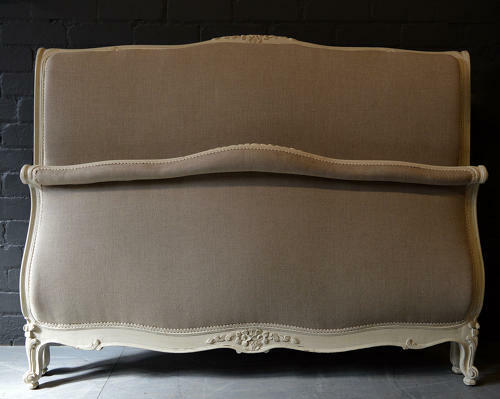 Upholstered head board and foot end in classic lit bateau shape. Newly fitted with wooden slats and center bar.